Today, Rundle leads about 300 lawyers and 700 support staff at the largest prosecutor’s office in Florida and the fourth largest in the U.S. Along with her work for criminal justice reform, Rundle has personally presented hundreds of murder and capital cases to the Miami-Dade County Grand Jury. She also helped write the Florida Punishment Code, which allowed judges to issue stronger sentences for heinous crimes, and led a successful effort to pass a state constitutional amendment to give local governments the right to insure that gun sales at gun shows do not fall into the hands of criminals and juveniles. But Rundle has focused much of her time on improving the way the justice system treats juvenile offenders. “Our office strives to create a safer place to live, work and raise our families,” said Rundle, who has twin sons Evan and Justin. She helped create Miami-Dade’s Juvenile Assessment Center and the Truancy Intervention Program (TIP), which brought prosecutors and school administrators together in the effort to prevent crime and further a child’s education. “We want to identify risky behavior at an early stage and provide educational supportive services so young adults can have better opportunities in life,” she said. Rundle’s father Carlos was an attorney in Cuba who was forced to leave for Miami in the mid-1950s. While studying at the University of Miami to pass the Florida Bar, he met Rundle’s mother Marie Lou, who had moved south from Chicago. Eventually, Carlos Fernandez became the first Cuban-American judge in Miami and possibly the USA, while Marie Lou earned a degree in early childhood education and went into teaching. In turn, Rundle earned a bachelor’s degree in education with a minor in political science in 1973 from the University of Miami. The next year, Rundle was introduced to the University of Cambridge Law School while on a family vacation to England. She wound up earning a post-graduate degree in criminology and her law degree from Cambridge before returning home to Miami. In 1986, she established Florida’s first Domestic Violence Prosecution Unit, which became a national role model. Along with her mentor, Rundle has worked hard to improve conditions for families and children. Reno originally opened the only Child Support Enforcement Office in Florida that was overseen by the prosecutor’s office. Rundle added to that legacy by helping pass legislation that added support orders to the Florida Crime Information Center (FCIC). This made every traffic stop in Florida an opportunity to provide needy children with their court-ordered support. “Enforcing the collection of child support payments for custodial parents is a very important step for long-term prevention of violence,” she said. In the 11 months of the current federal fiscal year, Rundle’s office collected about $166 million in child support due. “We handle upwards of 75,000 support cases a year, and that’s a large percentage of our workload,” she said. 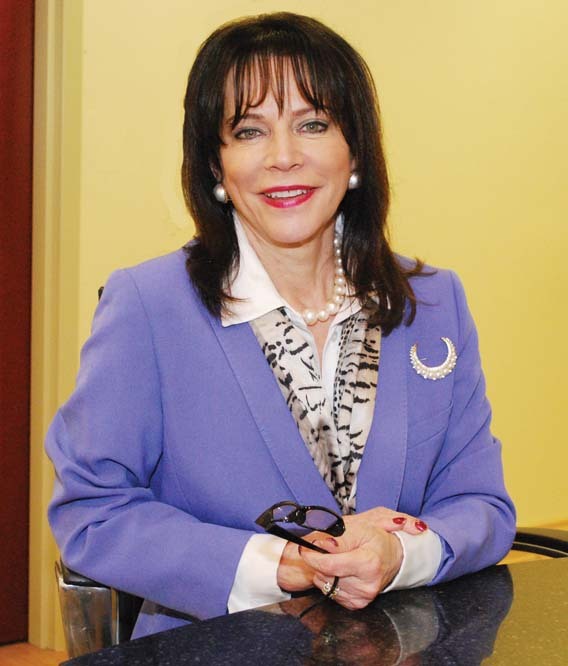 During her 35-plus years in the state attorney’s office, Rundle has received dozens of awards and honors for her contributions to in the legal profession and the South Florida community. For example, she has been a member of the Cuban American Bar Association (CABA) since 1977 and served as its first female president in 1991-92. In the past year alone, Rundle received CABA’s “Presidential Award,” the “Elected Official of the Year” Award from the National Association of Social Workers, Miami-Dade Chapter; and the “Women Making History Award” from the Florida Association of Women Lawyers, Miami-Dade Chapter. In 2015, she was appointed Ambassador to Human Rights First Campaign to Disrupt Business of Modern Slavery as a result of her successes in combatting human trafficking and was honored by The Women’s Fund, Miami-Dade County.